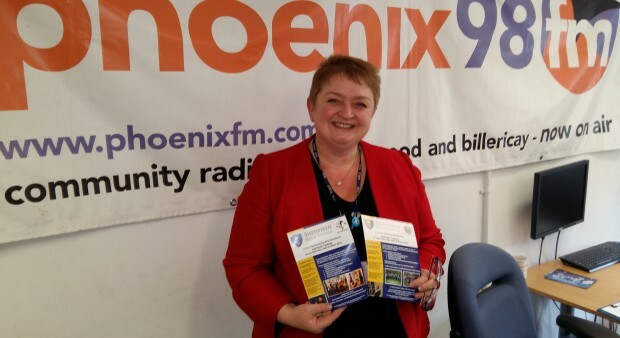 Shenfield High School headteacher Carole Herman visited Phoenix FM to talk about her concerns about the recent budget and the impact it will have on local schools. Mrs Herman has written to Brentwood and Ongar MP Sir Eric Pickles, sent on behalf of all secondary Headteachers across Essex and three other counties. The headteachers are very concerned that despite a detailed and factual campaign, they feel that schools are no closer to a solution to the crisis level in school funding. Along with school leaders from every special, primary and secondary school in West Sussex, East Sussex, Essex and Cornwall, I’m contacting you again about the significant school funding issues that are gripping our schools. In spite of a detailed and factual campaign – over a sustained period of time – we are no closer to being provided with any meaningful proposals or solutions to our current and future school funding crisis. The lowest funded schools are not receiving any emergency funding for the financial year 2017/18. The new funding formula is not new at all – it is based entirely upon the current discredited funding arrangements that we already endure. Decisions being made by Headteachers are no longer being driven solely by what is best for students and their families. The key feature of our strategic work is frequently underscored by a sense of “damage limitation”. To make matters worse, we are also confronted by a chronic shortage of teachers in virtually every subject area. As responsible professionals we all recognise that we are in challenging financial times and that schools must live within reasonable means. Difficult financial circumstances should not, however, be used as an excuse to short change our most important stakeholders – the children in our schools. It is also vitally important to be transparent with parents and families and make it clear just how bad matters are. The loss of £384 million that was originally earmarked for a now aborted mass academisation programme. On a daily basis school leaders have to explain and justify the decisions that we make. And quite right too. We also have to respond to legitimate questions when they are raised by students or their families. Recently, school leaders in West Sussex posed some important questions. They asked their local MPs why schools have not been provided with emergency funding? What services should we cut? And whether they support the introduction of new grammar schools and Free schools where there is no basic need when we face chronic funding shortages? They are yet to receive an adequate response. We would ask you to respond to the same questions. It is now important to understand that school leaders from Penzance to Bognor Regis to Eastbourne and on to Colchester are joining together and are united by a common purpose; we all want adequate funding for every school in the counties of Cornwall, East Sussex, Essex and West Sussex. We are certain that this view is echoed right across the country. We have no issue with a new formula that provides additional support for schools with the highest level of need or that face circumstances such as sparsity or high living costs. All schools must, however, be given enough money to fund adequate levels of staffing, care and essential equipment. Against this background school leaders need their local representatives to stand alongside them and make it clear to Government that current school funding proposals are unacceptable. Ensure that you only vote in support of a new National Funding Formula that ensures minimum adequate funding for every school. Confirm that a new National Funding Formula must not be considered in isolation from unfunded cost burdens such as increased pension costs, national insurance, inflation and reasonable wage costs. Ensure that any spending initiatives by the DfE are both credible and provide best value for money. We are, of course, raising the same issues directly with the DfE. We have no doubt, however, that public and joint pressure to ensure the very best for children and their families provides the most effective chance of success in reversing a direction of travel that if left unchecked, will undermine all that is important to our educational provision. A joint and unequivocal statement from MPs and school leaders would be most desirable. Our children’s and our country’s future depends upon it.